The anatomy and physiology of the human body defines the basic anatomy and physiology in each of the 11 body systems from a creationist viewpoint. 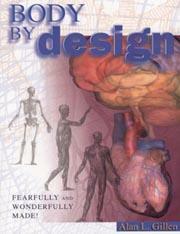 Every chapter examines different organs and structures giving evidence for theistic design. Focus sections that highlight the interwoven complexity between the body systems are also included. Students are challenged to think through the evidence-the facts as we know them today-and to consider the statistical likelihood of macroevolution. The end result is an effective, interwoven presentation of anatomy, physiology, and creation. This page was last modified on 12 March 2013, at 20:20.